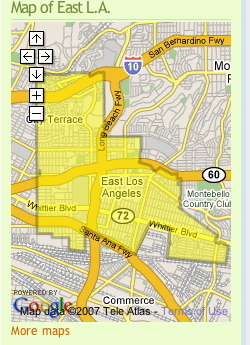 At the Los Angeles Cityhood Campaign's straighforward website/blog, the draft of the Independent Fiscal Analysis (IFA) for proposed incorporation of East Los Angeles is available to the public. If incorporated. Eela will become the 9th largest city in Los Angeles County with just over 140,000 residents. The working slogan; "It's Time."